The Sir Vivian Richards Stadium pitch in Antigua has been rated as “below average” and the venue has received one demerit point. Jeff Crowe of the Emirates ICC Elite Panel of Match Referees had monitored cited in his report that the uneven bounce at the southern main pavilion end is the reason for this rating, confirmed ICC. 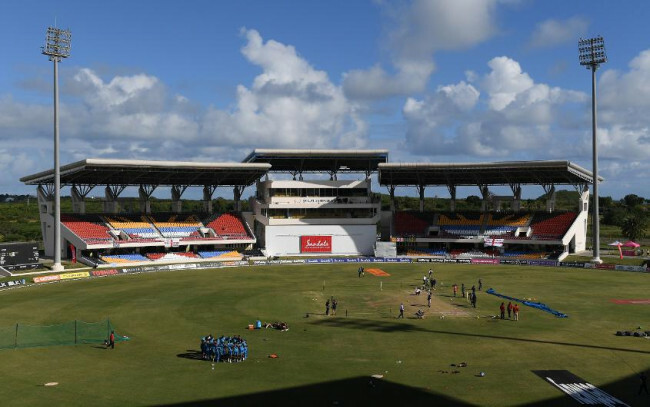 The pitch hosted the second Test between West Indies and England that held on January 31 to February 2. Meanwhile, the hosts beat England by 10 wickets and clinched the series 2-0. If a pitch or outfield is rated as being substandard, that venue will be allocated a number of demerit points. One demerit point will be provided to venues whose pitches are rated by the match referees as below average, while three and five demerit points will be given to venues whose pitches are marked as poor and unfit, respectively. No demerit point will be given when the outfield is rated as below average, but two and five demerit points will be provided to venues whose outfields are marked as poor and unfit, respectively. Demerit points will remain active for a rolling five-year period. When a venue accumulates five demerit points (or crosses that threshold), it will be suspended from hosting any international cricket for a period of 12 months, while a venue will be suspended from staging any international cricket for 24 months when it reaches the threshold of 10 demerit points.